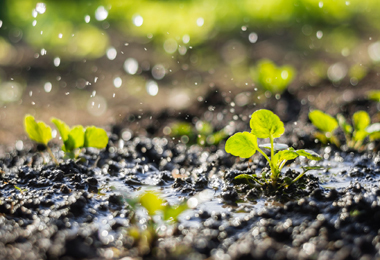 Environmental protection calls for a substantially reduction of the pattern of usage of chemicals and the amount of sprayed pesticides. 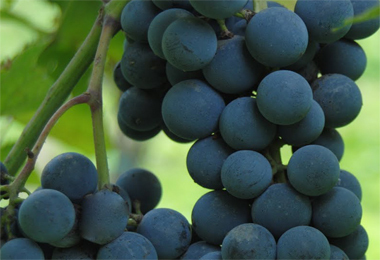 VineSense precisely maps the local microclimatic conditions and provides information on disease forecasting, based on accurate prediction models fed by microclimatic parameters perceived in the vine rows. 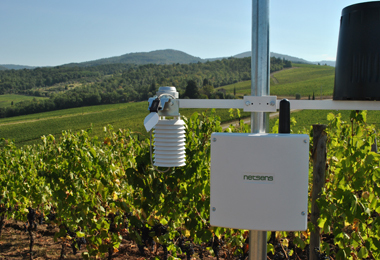 Sensors installed in the vine rows measure the real microclimatic parameters of the plants. 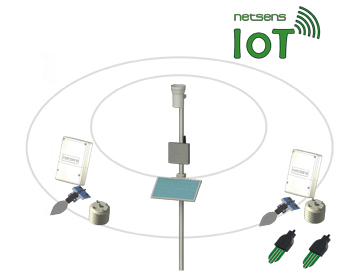 Data are transmitted by Netsens IoT wireless units located in the vine rows, not interfering with the mechanical operations in the vineyard. 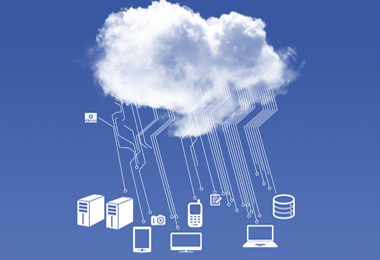 Data are automatically forwarded to Netsens LiveData Cloud system. 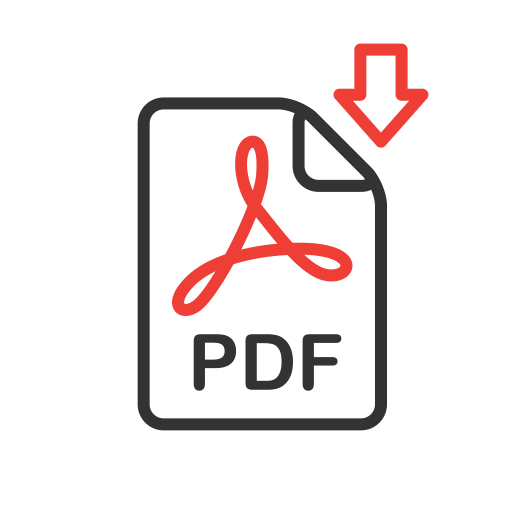 Authenticated user can access data via desktop or smartphone, and receive reliable and useful information, as well as configure automatic E-mail reports. 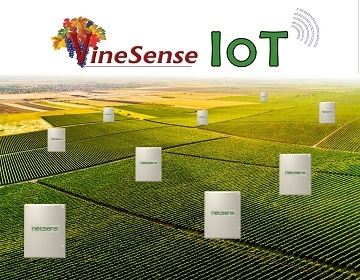 Check agro-meteorological data with IoT wireless sensors. 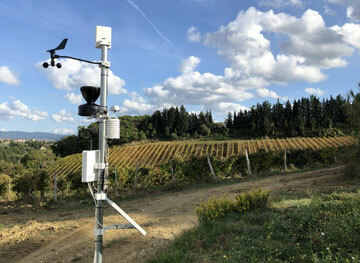 The LiveData user friendly interface displays the agro-meteo data from the field in graphic format, through Netsens LiveData web based powerful software. All the critical climatic parameters are evaluated at a glance thanks to the integrated control panel. Alert and report can be easily managed and emailed or sent by sms. 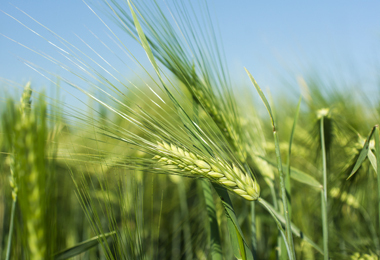 By indicating the phenological phases observed in the field, the disease models will automatically adapt to the specific conditions of your plots. 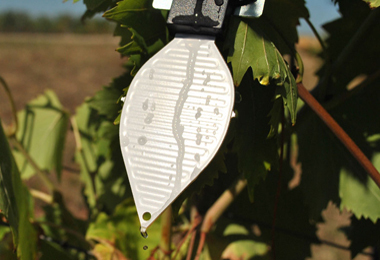 Equipped with rain collector, air temperature and humidity, leaf wetness sensors. 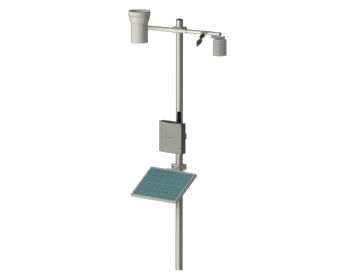 Optionally expandable with full weather sensors or wireless units. LiveData web access and pathogens development models included. 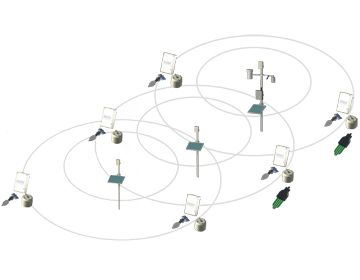 The long range wireless units have the unique capability of measuring the local microclimatc parameters (air temperature/humidity, leaf wetness, and more) and allow real-time accurate prediction of pathogens or diseases development with unsurpassed accuracy. Tens of measuring points, with highly reduced costs per point. 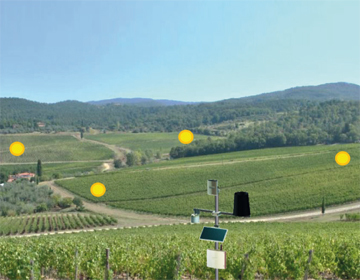 Weather, climatic and soil sensors installed in the rows of each plot. Shared access to LiveData cloud software, with farm-level access to the DSS for infection prediction and treatment register. RDaily agro-meteorological report via email.